It was the site of several nuclear accidents, including the worst nuclear meltdown in US history when, in 1959, facility operators intentionally vented nuclear material from the site’s “Sodium Reactor Experiment” to prevent it from overheating and exploding. By the time the leaks were closed, the site had released 459 times more radiation than was leaked during the better-known 1979 meltdown at Three Mile Island. 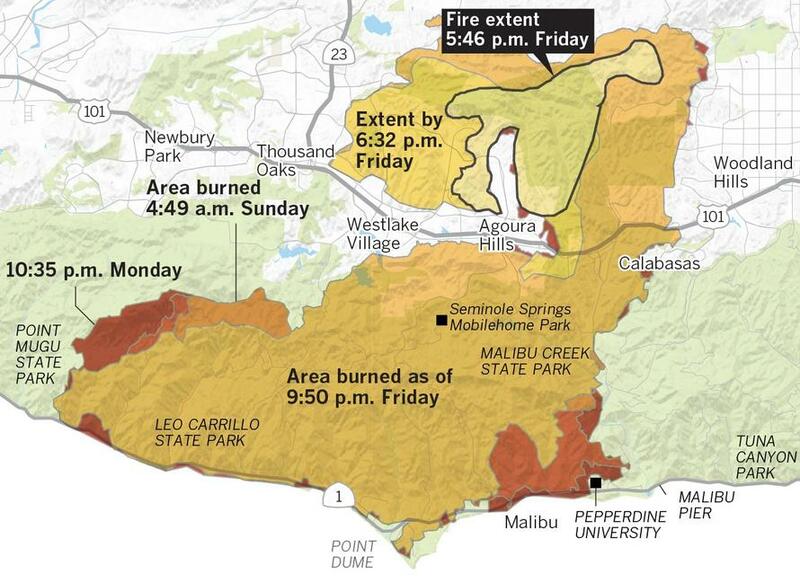 California officials with the state's Department of Toxic Substances Control said that as of Friday, November 9, an area of the SSFL site which was scorched by the Woolsey fire posed no danger, stating "Our scientists and toxicologists have reviewed information about the fire’s location and do not believe the fire has caused any releases of hazardous materials that would pose a risk to people exposed to the smoke." A group of concerned physicians begs to differ. 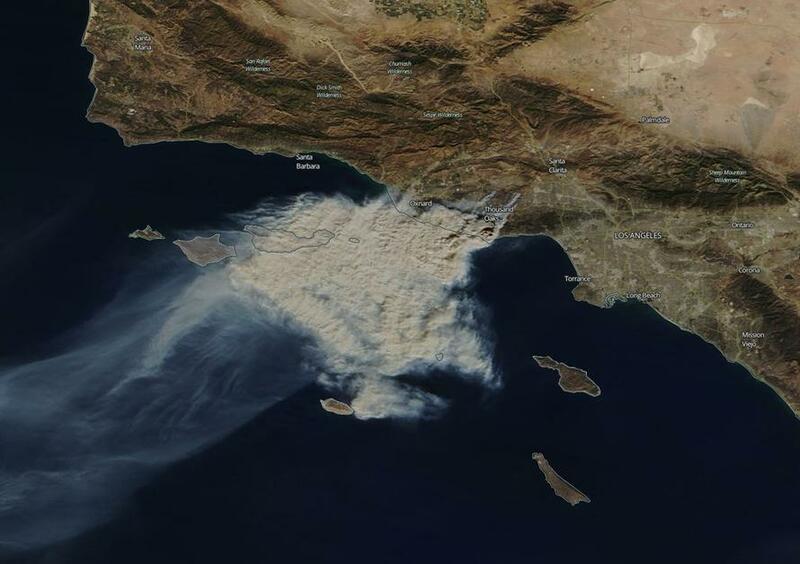 According to Robert Dodge - a physician and president of Physicians for Social Responsibility Los Angeles, highly toxic materials embedded in SSFL's soil and vegetation may have been spewed into the air by the Woolsey fire. "We know what substances are on the site and how hazardous they are. We’re talking about incredibly dangerous radionuclides and toxic chemicals such a trichloroethylene, perchlorate, dioxins and heavy metals," said Dodge, adding: "These toxic materials are in SSFL’s soil and vegetation, and when it burns and becomes airborne in smoke and ash, there is real possibility of heightened exposure for area residents." Weighing in with satellite imagery tells a similarly two-sided story. 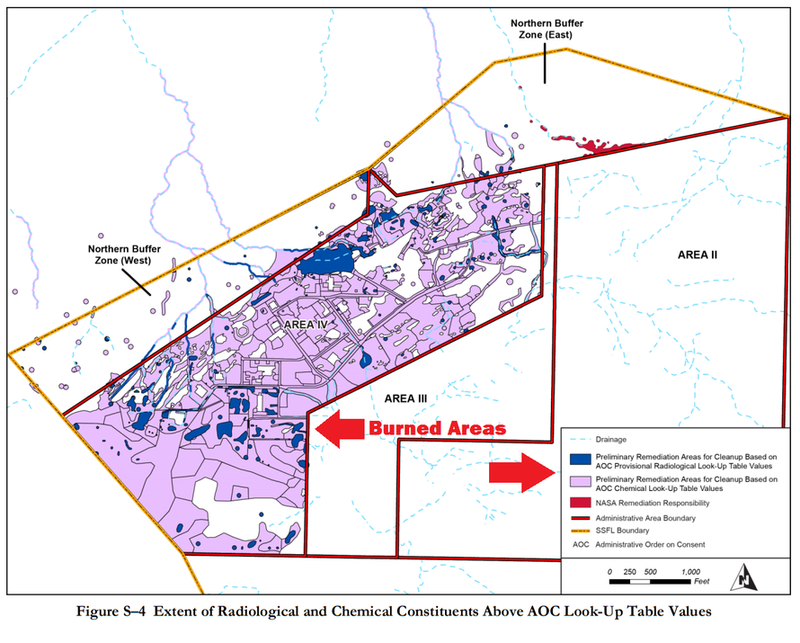 These images show that the fires did spread to the compound, but they didn’t take down structures. 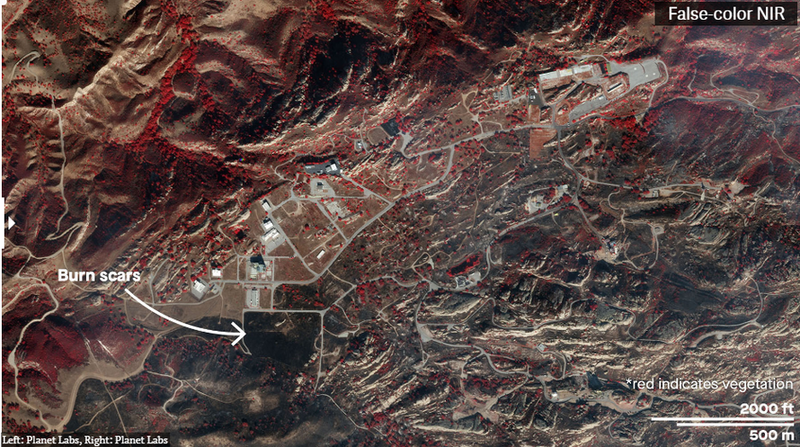 With near-infrared imagery, dense vegetation appears red while burn scars from the Woolsey fire contrast as dark brown. Dodge's group has also criticized the California Department of Toxic Substances Control - pointing out that the state-run agency is currently under a state-mandated independent review to investigate its handling of toxic cleanups. 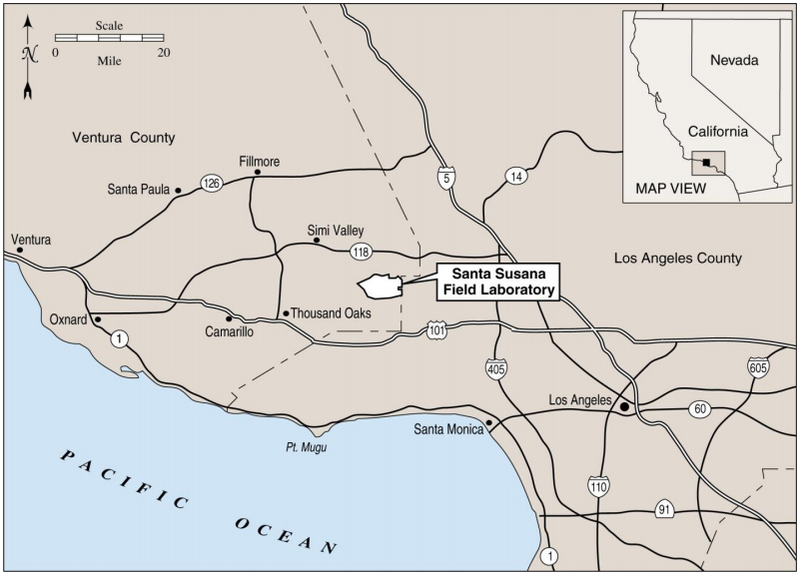 According to a Draft environmental statement from the Energy department, Santa Susana Field Laboratory and its adjoining Northern Buffer Zone has never been fully cleaned up. A 1998 article of Los Angeles Magazine details horrific cancers and other conditions which have afflicted those living near, and working at the site. "Children growing up near the site swam and fished in streams and played in the dry wash. And one day, Garner rode his red J.C. Higgins bike he got for Christmas through effluent flowing from the lab.